Feel the Californian vibe with these lush hair extensions with three beautiful tones of blonde (honey blonde, light blonde, barbie blonde). 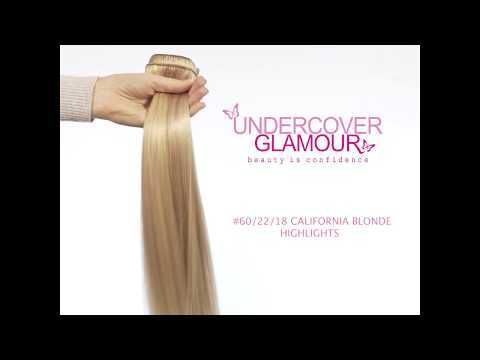 The multi-tonal blondes will give your hair a gorgeous sunkissed look. Triple wefted, double drawn and 100% REMY hair for the ultimate look. Triple Weft hair extensions (this means that there are 3 layers of hair on one piece) - more hair, less clips. Double Drawn hair extensions - lovely and full at the bottom of the extensions. Perfect for everyday hair styles and special occassions. All our hair meets high ethical standards. Just looking for a little extra volume? Try our #60/22/18 Individual, Triple Weft Hair Pieces.